The Salesman, the latest film by Iranian filmmaker Asghar Farhadi, won Iran the 2017 Academy Award for best foreign-language film. 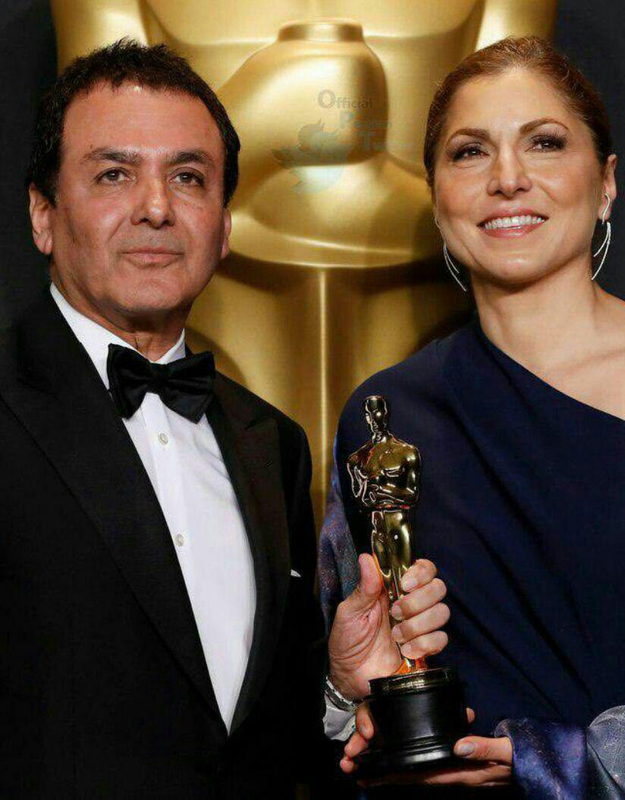 Farhadi had boycotted the Oscars over US President Donald Trump’s executive order banning visitors from seven Muslim countries, and introduced two prominent Iranian-Americans as his representatives: Firouz Naderi, a former NASA executive, and Anousheh Ansari, the first Iranian space tourist. In the statement read at the Oscars by Ansari in his name, Farhadi said he was staying away in solidarity as people had been “disrespected” by Trump’s policy, which is currently on hold after a decision by a federal appeals court. “Dividing the world into the US and ‘our enemies’ categories creates fear — a deceitful justification for aggression and war,” he said in the statement read at the Hollywood gala by the Iranian-born US engineer and astronaut Anousheh Ansari. “Filmmakers can turn their cameras to capture shared human qualities and break stereotypes of various nationalities and religions. They create empathy between us and others — an empathy which we need today more than ever,” he was quoted as saying by AFP. 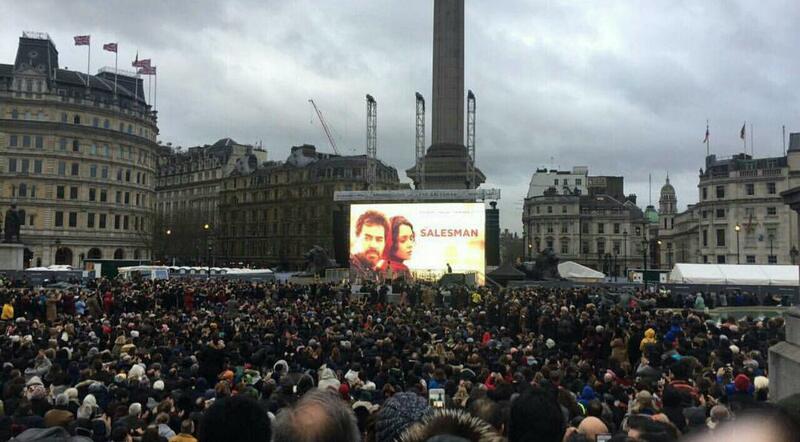 According to Khan’s office, around 10,000 people took part in the screening, which was also the film’s UK premiere, Press TV reported. “Despite our different religions, nationalities and cultures, we are all citizens of the world. I’m very proud to be a member of this global family. I’m sorry not I’m not able to be here with you but I will be there in spirit,” said Farhadi in a recorded message played at the beginning of the film. 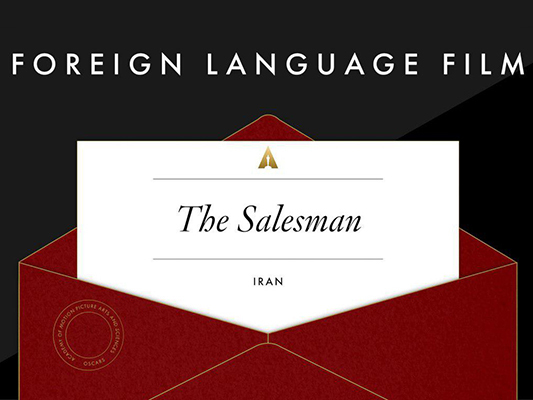 The Salesman had earlier won two awards at the 2016 Cannes Film Festival and was also nominated for a Golden Globe and a Critics’ Choice Award among several other nationwide and universal recognitions. Farhadi won Iran’s first-ever Academy Award with his drama A Separation in the 2012 Oscars.